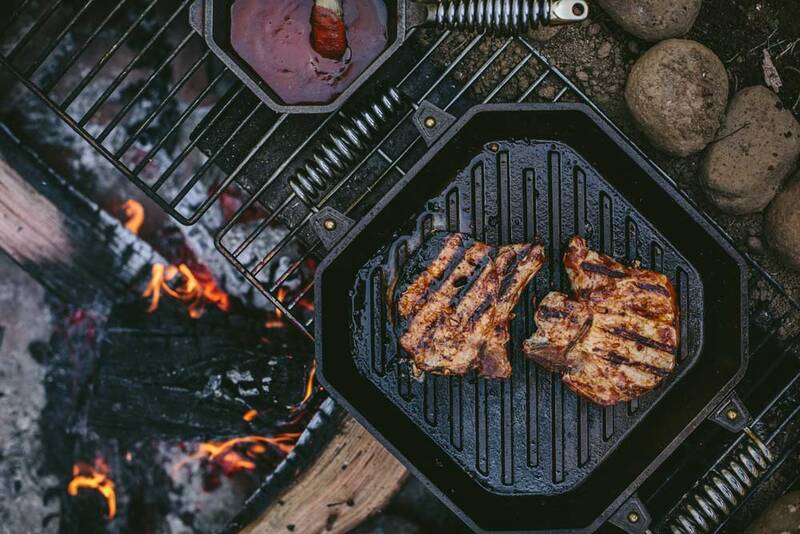 Perfect Cast Iron Pork Chops | FINEX Cast Iron Cookware Co. These delicious grilled BBQ pork chops are called perfect for a reason. Eva Kosmas Flores of Adventures in Cooking has partnered with us again for another stunning recipe. Stir together the barbecue sauce and minced garlic until combined. Coat the pork chops in the mixture and allow to rest for 10 minutes. 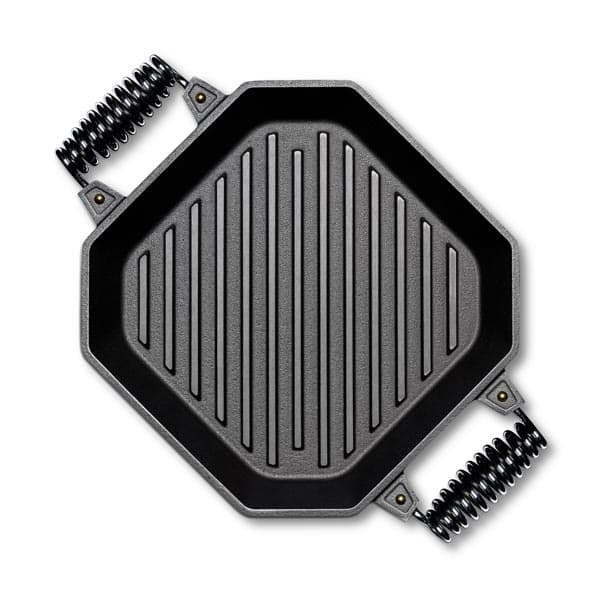 Lightly brush the ridges of the cast iron grill pan with olive or vegetable oil. Place the pan over medium heat and add the pork chops. Cook until grill marks appear on each side and the pork chop is just cooked through, about 3 to 4 minutes per side. Serve alongside fresh barbecue sauce. Lightly brush the ridges of the grill pan with olive or vegetable oil. Place the pan directly over a small fire and add the pork chops. Cook until grill marks appear on each side and the pork chop is just cooked through, about 3 to 4 minutes per side. Best served with the company of friends and family.